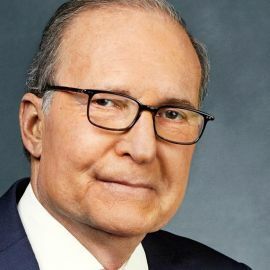 President Donald Trump announced March 15 that CNBC analyst Lawrence Kudlow will be his next director of the National Economic Council. The council is the principal presidential advisory body on economic policy issues. Kudlow will succeed Gary Cohn who stepped down recently over a disagreement with Trump’s decision to impose tariffs on steel and aluminum imports. President Trump has routinely signaled his willingness to support federal motor fuels tax increase as part of an infrastructure package.